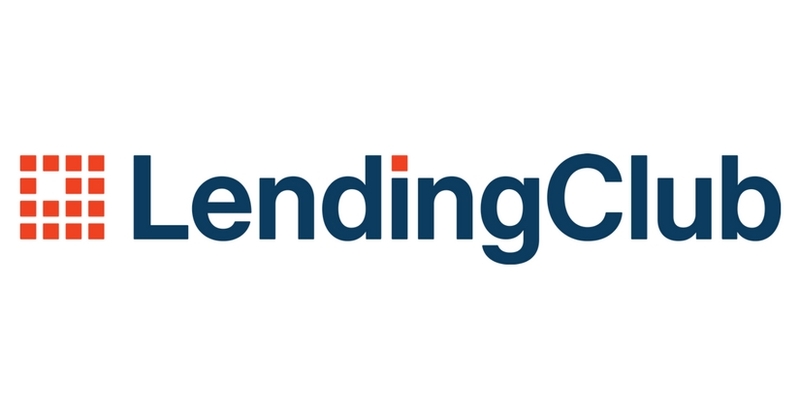 Lending Club Investor Review 2019: Is LendingClub a Good Investment? Lending out money is one of the oldest ways to earn passive income. It’s essentially renting out your money for either people to use, and the rent you charge is known as the interest rate. Check out our Lending Club Investor Review below to see if Lending Club is right for you. Now, in the old days, if you wanted to lend money to somebody in particular, you were taking on a pretty risky business, unless your borrower put up some form of collateral. But now, thanks to LendingClub, you can spread out the risk by investing in the debt of thousands of borrowers across the LendingClub platform rather than lending money to only one borrower. I have personally invested $5,000 in LendingClub and definitely recommend it to my readers! Read more below. LendingClub makes loans to thousands of borrowers, using the latest technology to assess risk, determine credit ratings, and assign appropriate interest rates. 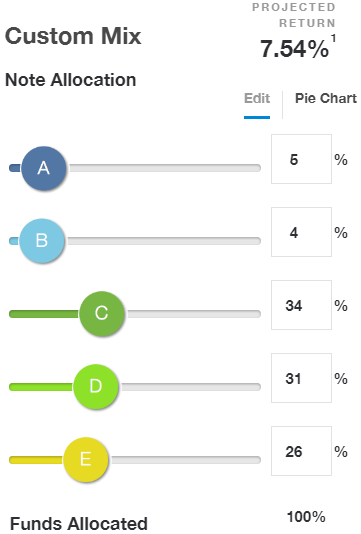 Investors like you then select which notes you’d like to invest in and earn monthly cash flow. You can invest as little as $25 in each note, thereby spreading out your risk. And you have the option of going through each of LendingClub’s loans to determine which ones you’d like to invest it. Loans graded “A” have the lowest risk of default based on factors like the borrower’s creditworthiness and so attract the lowest interest rates. And as you move down the alphabet from “B” to “G,” loans get riskier and riskier, but they fetch higher interest rates. 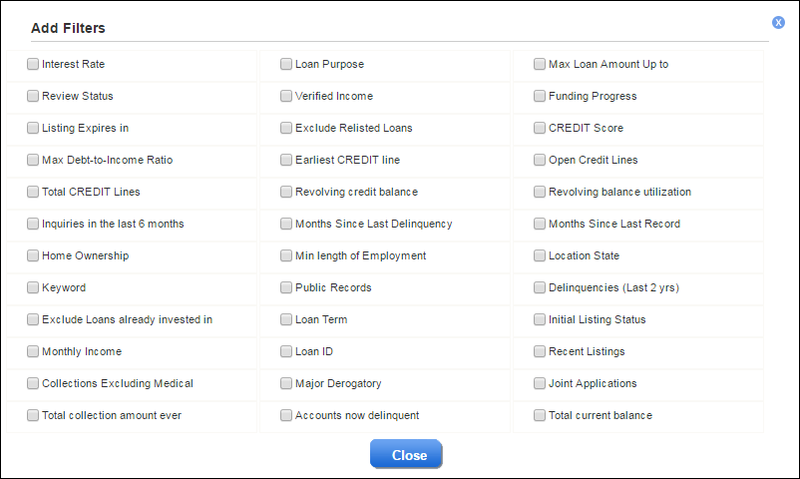 And by clicking on each loan, you can see even more information about the borrower and the loan. 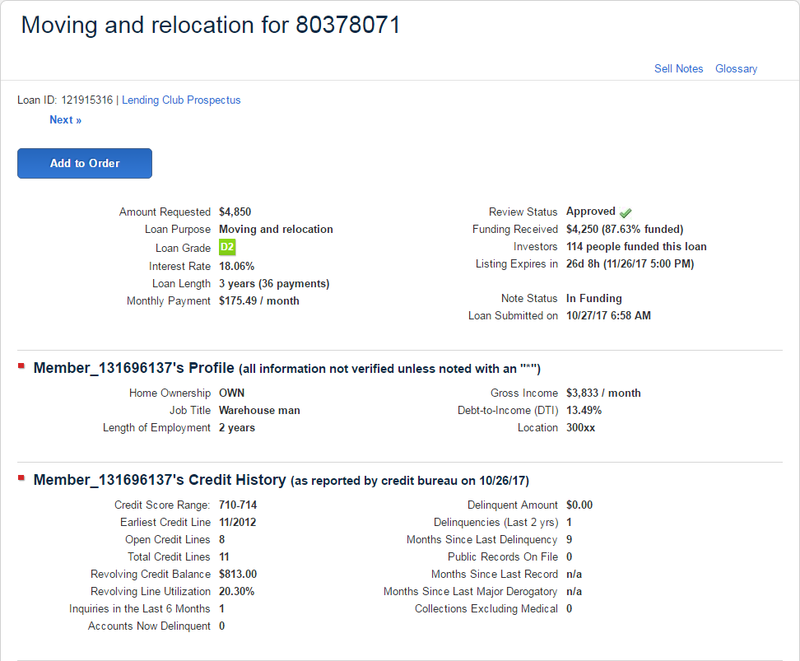 Of course, you can also filter your loan search results by certain criteria. For example, if you only want to see loans whose purpose is either credit card consolidation or paying for a wedding, you can do that. You can even filter borrowers based on their personal characteristics such as credit score, whether or not they own a home, their monthly income, and more. Do I Have to Pick Loans Manually or Can I Invest Automatically? 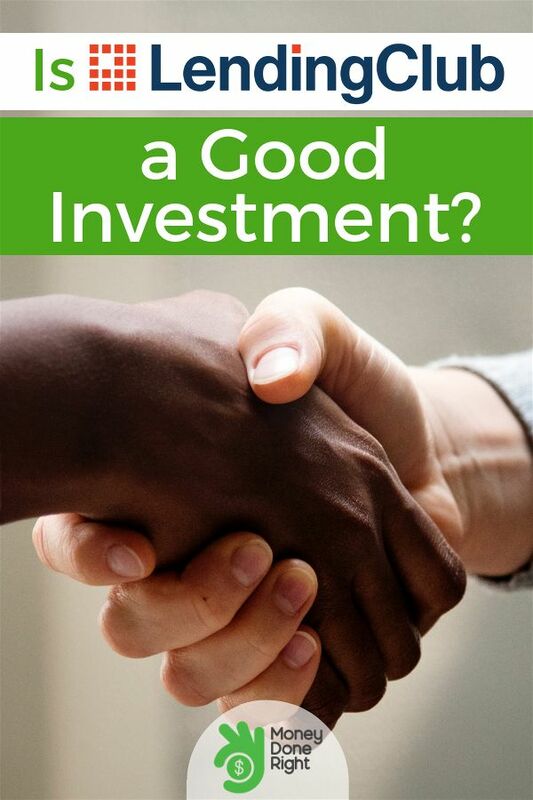 Now, some people like going through each loan they’re considering investing in and picking and choosing exactly the ones they’d like to invest in. And there are others of us, including yours truly, who choose a more hands-off approach through LendingClub’s automated investing feature. With LendingClub’s automated investing feature, you tell LendingClub your ideal note mix by letter grade, and the platform selects your notes for you. You also have the option to re-invest all borrower payments made to you rather than simply withdrawing the money from your account. What Kind of Investment Returns Can I Expect with LendingClub? Most investors average 4-6% on their money after fees and charge offs. My net annualized return is currently 8.81%. However, due to notes becoming past-due before their terms are up, I can realistically expect a 4-6% return over the long run. How Long Are the LendingClub Note Terms? LendingClub notes have either 3- or 5-year terms. Am I Directly Lending Money to Borrowers? LendingClub is the actual lender, so you are not actually directly lending money to borrowers. When you invest through LendingClub, you are actually investing in notes. And each LendingClub note corresponds to a loan to a particular borrower made through the LendingClub platform. And as a note holder, you actually have the option to sell your notes — see below. Can I Sell My Notes? Yes, you can sell your LendingClub notes on the Folio Investing Note Trading Platform. I have never done this as I have never seen the need to, but some investors choose to sell their notes if, for example, they need to “cash out” their investment before the 3- or 5-year term on their notes is up. LendingClub collects fees from both borrowers and investors. For investors, the fee is 1% of any borrower payments made to you. With only a 1% fee, this comes out to a relatively small amount. For example, I initially invested $5,000 about a year and a half ago, have collected over $3,400 in borrower payments, and made only about $30 or $40 in fees. Can I Set Up an IRA with LendingClub? 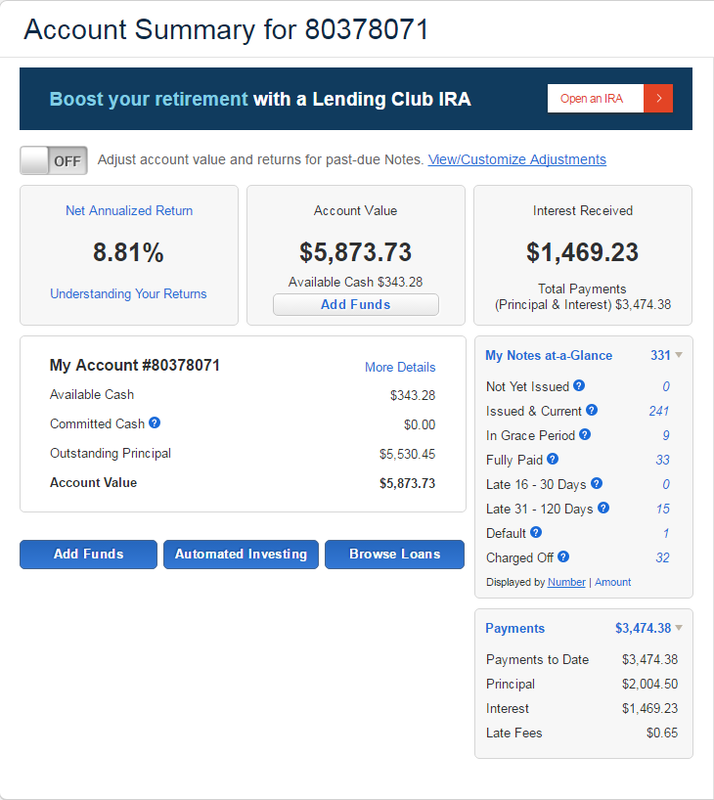 Yes, you can set up an IRA with LendingClub! In fact, it makes a lot of sense to invest in LendingClub through a retirement account like an IRA. You know why? Taxes! I am a CPA, after all. The only problem is that it’s not very tax-friendly. There are nearly no tax deductions you can take against your interest income. Solution? Lend in a tax-free or tax-deferred retirement plan. Click here to open up your LendingClub IRA. Is There a LendingClub App? Yes, there is! After you set up your LendingClub account, you can download the app in the app store. That being said, just like with the stock market, I would advise that you not spend too much time obsessing over your investments. This is supposed to be passive income, remember? So Do I Believe that LendingClub is a Good Investment? I do! If I didn’t, I wouldn’t have invested $5,000 in the platform. With LendingClub, you can earn more than other investments with comparable risk. You are also earning consistent income that is not subject to the ups and downs of the stock market. Click here if you’d like to start investing with LendingClub.